Comparisons to Jon Jones and Anderson Silva usually get the attention of the masses, but Adesanya scoffs at the exercise. “I feel like it’s disrespectful if you try and compare me or what I’ve done throughout my career with someone else. 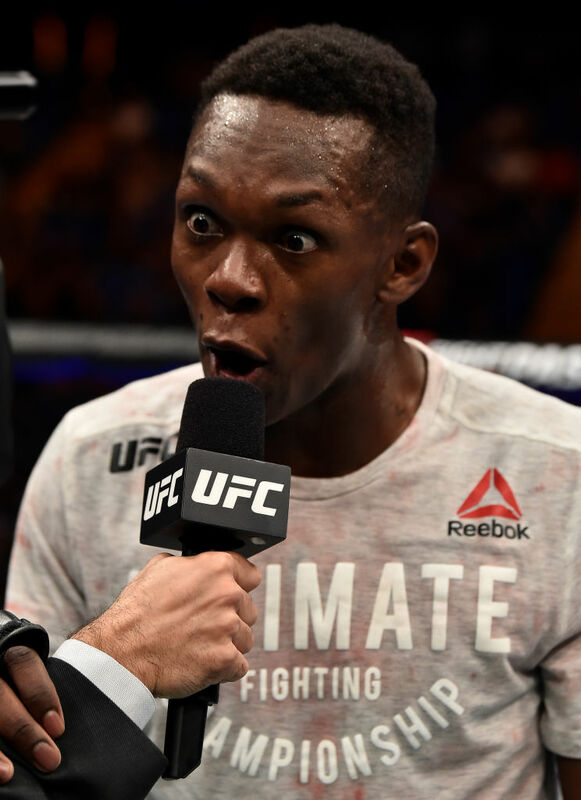 Whether it be Anderson, Conor (McGregor), Chael (Sonnen) or whoever,” Adesanya said Thursday during his media session ahead of Fight Night Glendale Saturday night on FOX. Adesanya is on to something because there hasn’t been anybody like him to enter the Octagon. Think about it. He’s brought a 75-4 (with 29 knockouts) professional kickboxing record with him to MMA and since making the move he’s been dead set on perfecting all areas of the MMA game. In his UFC debut against Rob Wilkinson, the story going into the fight was going to be how Adesanya would handle the wrestling of Wilkinson. Adesanya obviously wants his fights standing up, but he made sure to round out his game before making the jump to the big league. Wilkinson managed to score only three takedowns on 15 attempts against Adesanya. Stylebender showcased his athleticism and takedown defense before overwhelming “The Razor” late in the second round to collect the TKO win and a performance bonus. UFC president Dana White talks about the “it factor” that some fighters have which combines talent inside the Octagon with that undeniable charisma that attracts fans to their brands as athletes. Adesanya checks every box. The next step for the New Zealander is Marvin Vettori on the main card of FOX which airs free on TV Saturday night. It’s a big jump up in visibility but Adesanya said he fights the same whether in front of a room full of people or millions on TV. Vettori is confident he has the chin and toughness to last with Adesnaya in Glendale, but it’s a familiar confidence that “Izzy” hears from most of his opponents. Right now it’s one fight at a time for Adesanya as the rest of the MMA world plans his ascent toward the top of the middleweight division. Don’t get him wrong, Adesanya can see the finish line when he gets to hoist the gold belt. It’s just not going to be a surprise to him when he gets there.